ABS is a very strong and hard type of plastic used in many mechanical settings. It is a less expensive material than steel, much lighter, and won’t rust. Most original grilles placed on cars and trucks are made from ABS. In stock, parcel will send out within 2-5 days after confirm payment. If out of stock, 7-15 days after confirm payment. We manufacture high quality auto accessories including front grilles, pillar posts, door handles, mirror covers and more. Our company was founded in 2008 and today uses our extensive experience to develop exterior and interior trim products that feature unique designs and precision fit. All our products are crafted from tough 304-gauge Stainless Steel and automotive-grade ABS plastic. 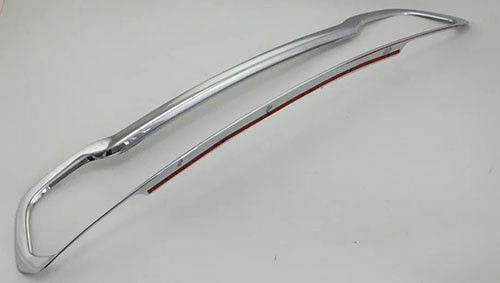 Their sophisticated chrome plating process ensures that trim parts will look great on the vehicle today.